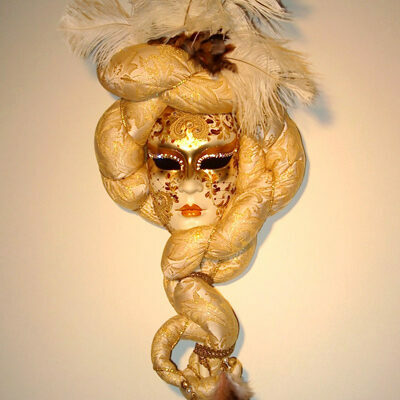 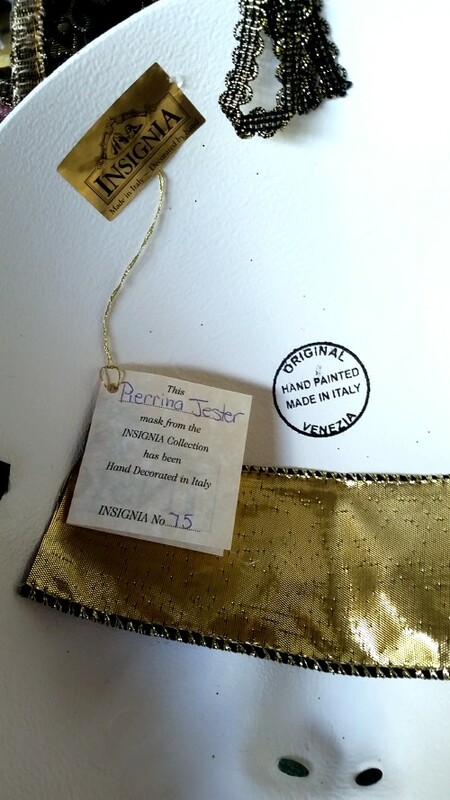 Our lovely Pierrina Venetian Jester Mask has pretty glitter decoration on a soft pearl finish face. 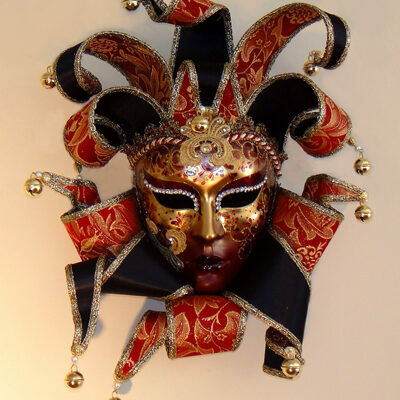 The Jester head dress is made from wired velvet and brocade and can be arranged as you like. 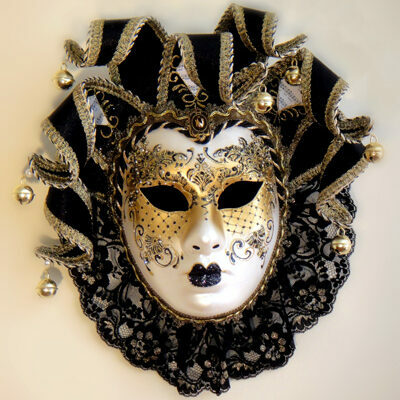 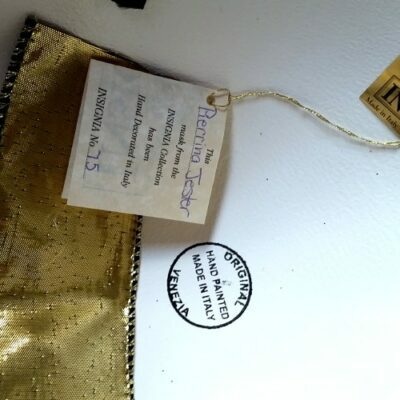 This special Mask looks great teamed up with our Pierrina Duchess. 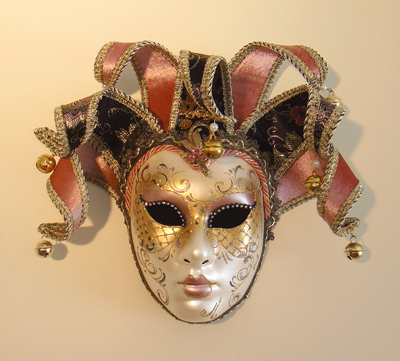 We also have this mask in other shades of Pink as well as Silver which are available on request.